Senior defenseman Frank Sherding skated into the Delaware zone all alone with the game on his stick. 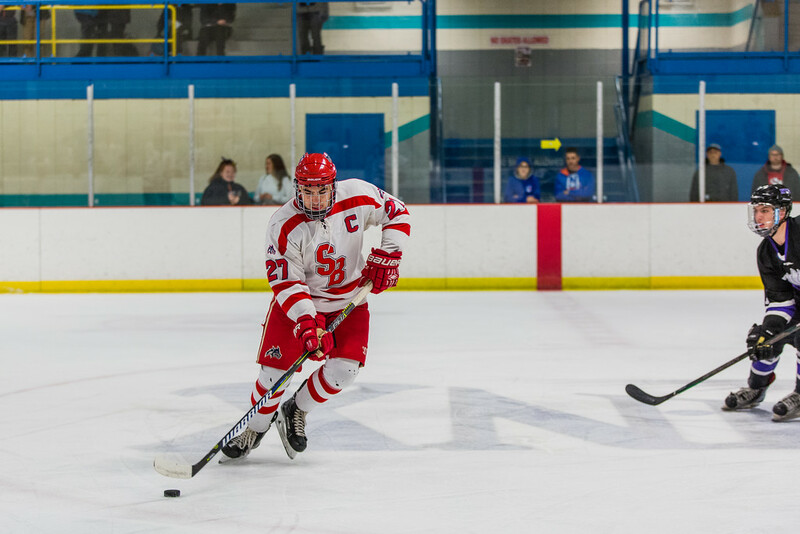 The captain was well aware that a goal meant more than just an extra point in the standings; it would also put the Stony Brook hockey team’s longest losing streak in over a year behind them. Sherding had one chance to put his team back on track, and he made the most of it. The captain’s game winner was his second goal in the past three games, giving merit to Garofalo’s previous assertion that Sherding would be “part of the solution.” Another key to Stony Brook’s 5-4 victory was the play of junior defenseman Frank Coscia, who scored four goals in the weekend set against Delaware, including both late game-tying goals. Coscia’s late-game heroics may not have been necessary if not for a second period major penalty against sophomore forward Michael Kosina which resulted in his ejection. Though the Seawolves held a 3-1 lead when the penalty occurred, the Blue Hens were able to strike twice with the man advantage and tie the game before the second intermission. Midway through the third period, Delaware sophomore forward Colin Emerich found the back of the net to give his team a 4-3 lead which lasted 12:22 until Coscia tied the game with sophomore goaltender Richard Shipman pulled for an extra attacker. Shipman, who played both games this weekend, turned aside a combined 63 of 70 Delaware shots in the two-game set, five more than Delaware junior goaltender Stephen East. Shipman will be the expected starter this Friday, Jan. 26 when Stony Brook hosts the No. 7 University of Colorado Boulder at 9 p.m.